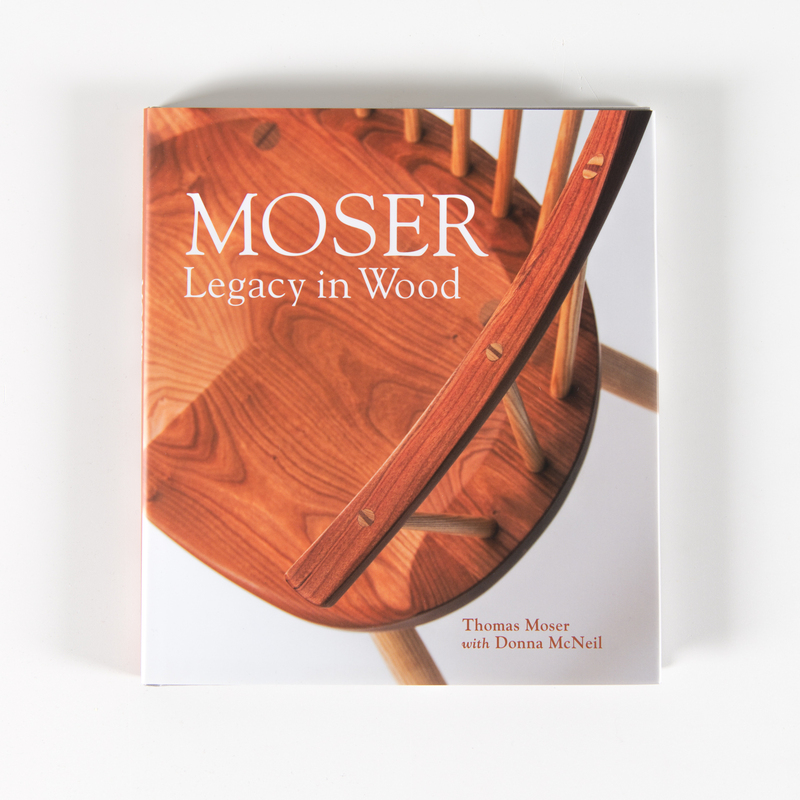 In his latest book, Tom Moser reflects on his long career and offers his thoughts on creativity, inspiration, and his design aesthetic. Legacy in Wood gives an intimate look into the life and work of a pioneering craftsman, whose example shows that you can build a career working with your hands the old-fashioned way. Thomas Moser is founder of Thos. Moser based in Auburn, Maine. A former English professor at Bates College and an antiques restorer, he opened his first workshop in 1972. He has written several books about building fine furniture. He lives in Harpswell, Maine with Mary Moser, his wife of more than 50 years.